This Black Tulle Maxi Dress with Sequin Top is perfect for any special occasion! We love its beautiful tulle skirt and sparkly, sequin top! Maria M. Reviewed by Maria M.
Angela R. Reviewed by Angela R.
I love the dress I bought! 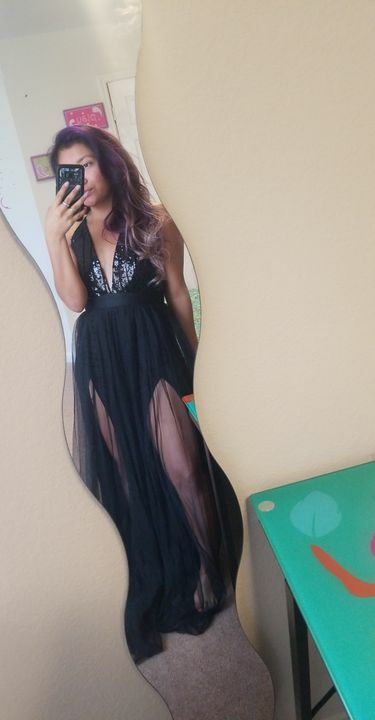 Literally the dress came in three days with free shipping! I would continue to order from this company. Did I mention that the dress came in a really cute bag? Love everything about this purchase! This dress is absolutely beautiful in person and looks fantastic on! I ordered based on the size guide and found it to be fairly true to size.